Some members of the secondary teachers' union are staring redundancy in the face if the union rejects the latest proposals on pay and junior cycle reform. The issue has come to a head after two schools in Athlone, Co Westmeath, were amalgamated in September and concerns arose that up to 12 teachers are at risk of losing their job. St Aloysius College and St Joseph's College will merge into the new, co-educational 800-pupil Coláiste Chiaráin. Normally, teachers who become surplus to requirements because of an amalgamation, or a school closure, are offered redeployment. But while the Association of Secondary Teachers' Ireland (ASTI) is outside the Lansdowne Road Agreement (LRA), its members have no such protection. 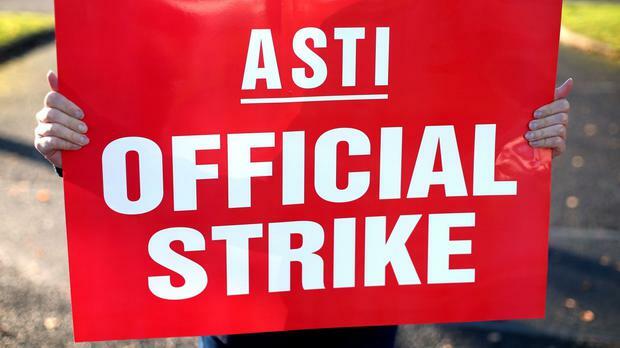 ASTI members will ballot this month on proposals incorporating the LRA, a top-up pay deal for newly-qualified teachers, along with junior cycle reforms. In the event of a rejection, the Department of Education will take a hardline approach, underpinned by FEMPI legislation, introduced as an emergency measure to impose cuts in pay and conditions during the financial crisis, but still on the statute books. The ASTI is the only union outside the LRA and, last month, its 180-member executive committee recommended another No vote on the deal. According to sources, there were signs of a softening of attitudes on the part of some members at a meeting of the executive last Saturday. If rejected, the union has not ruled out a return to one-day strikes and withdrawal from supervision and substitution duties, which closed 500 schools for up to three days last term. Saturday's meeting agreed to ballot members on further industrial action, if the Government uses FEMPI legislation to make ASTI teachers redundant. The potential job losses arising from amalgamation in Athlone was among the issues raised in the discussion. ASTI president Ed Byrne said the threat to make ASTI teachers redundant because it had not signed up to the LRA was "an abuse of power".